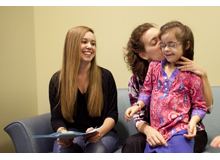 We are strongly committed to serving families affected by autism and other neurodevelopmental disorders. One in 68 children in the United States has a diagnosis of autism spectrum disorder, and thousands more wait to receive a diagnosis. That is especially true at the Thompson Center, where our waiting list is months long. At the heart of our strategic goals is our desire to give more families access to caring, evidence-based support and treatment. Our mission is to provide families with the best quality of care, ensuring that they feel comfortable and supported through their journey. Through excellent clinical care, leading research, education, and training, we want to change the lives of those affected by autism spectrum disorder. Our compassion for the children and families we serve motivates everything we do here at the Thompson Center. Thank you for choosing us and we look forward to serving you and your family. 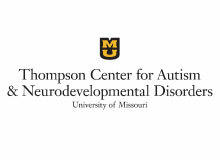 For more information about giving to the Thompson Center, please contact Christine Smith at 573-884-5164.